My entire life I have wanted to write a book. And then God gave me a story to tell. A story about a baby girl who might be a mystery to this world but not to the author of her very life. I believe God wants me to write this story and I plan on doing that. There are many details that make it complex, though, and so I'm being patient and asking God to guide me. In the [almost] 6 years since having Nora, I haven't read one single book all the way through. I've started many. I've had great intentions but as the baby's kept coming-my time kept going. This past week, I made the time. For 2 books to be exact. Each took me only 2 days to read all the way through. Do you remember when I blogged about my favorite bloggers not long ago? Well two of them released their memoirs on the very same day this year. Daniel I went out and bought them and as I rubbed my fingers across the cover, wishing it were my book, he reminded me that someday it will be. I feel like I know these women. I have read their blogs through some of life's most altering circumstances. I couldn't wait to dive in and read about the details that have helped shape them into the women, mothers, and friends that they are now. "Bloom" by Kelle Hampton, is about Kelle's life but most recently about delivering her second daughter, only to find out that she has Down Syndrome. Kelle's book is gut wrenching, painful, provocative, enlightening, funny and honest. Her raw explanation of emotions; of grief and joy are combined to make this book unforgettable. I couldn't put it down and I related to her words on almost every single page. If you want a book about life, friendship and the incredible strength of the combination-this is it. "Heaven is Here" by Stephanie Nielson is Stephanie's account of her life which includes a tragic plane crash involving her, her husband and their dear friend, Doug. Stephanie was burnt over 80% of her body and in this book she explains the details that are so personal to her experience it is heartbreaking. And yet, invigorating! She is remarkable and has a great faith. She explains about the reaction of her 4 small children and the process of healing that was so triumphant for her, and her husband Christian. I also couldn't put this book down. Stepahnie's faith is incredible and through great trial, she leaned on that faith to pull her through. The human spirit and body is incredible and this story proves it. These books were so great, I wanted to give you each a chance to own one. And considering I bought 3 copies of each I figured it would be an awesome chance for a giveaway. One week from today I will choose a winner at random with the help of an online tool, probably random.org. I will send the books out the following day. THERE WILL BE SEVERAL WAYS TO ENTER THE GIVEAWAY. THE MORE WAYS YOU ENTER, THE MORE CHANCES YOU HAVE TO WIN! *Leave a comment on this post, telling me which book you would rather read. *Send people to my blog and ask them to leave a comment as well. Tell them to include your name (who sent them) and if they begin to 'follow' my blog, you will both be entered. *Like the "Raising Redheads" facebook page and make sure you tell me that you have. *Follow me on instagram: rameelin. Then tell me you did so, either on there or under the comments here. You have one week from today. Tell people about the giveaway. And then tell them about Mabel...after all, raising awareness is still my goal. 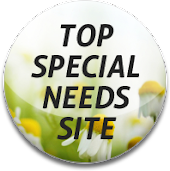 Hi R, I read Kelly's blog ever since you has listed her here on your favorite blogs to read. I would love to read her book. When I read her blog, it really really makes me want to live in a warmer climate :) Fun give-a-way!! I would love to red Kelle's book. I follow your blog, like your FB page and just became your Twitter follower. Yay! I would love to read either book. I have followed both of those blogs for a while now and of course I follow your blog and your facebook pages. It was great to have Nora and Braden in LPC yesterday. I missed seeing Mabel. I hope we get to see more of Nora and Braden at church. 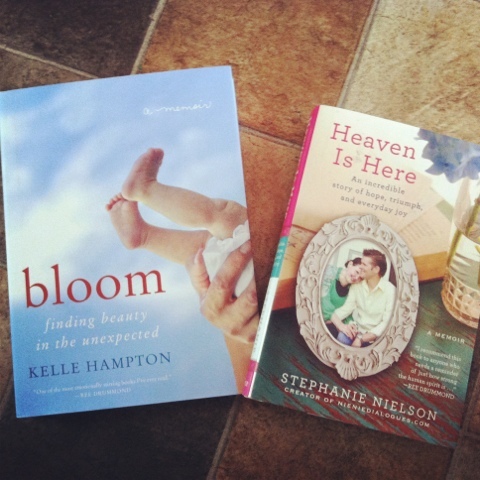 I really am interested in reading both books..going to have to start following their blogs. How fun Ramee!! I want to read BOTH. Does that count?! lol I cannot wait to read your book someday. Ramee I love your blog! I look forward to reading it everyday. You are such a great writer and I would so enjoy reading your book in the future! I think both books look very interesting but if I had to choose I would choose Stephanie's. I also follow you on Facebook. I would most love to read Heaven is Here. Such an inspiration. I follow you on FB. I would love to read Heaven is Here.